This weeks challenge is ‘TICKET’ and I decided that since I journal almost daily, I would just incorporate the weekly prompt into my journals. That makes it very doable for me. With my middle sons graduation just weeks away, this page is dedicated to the class of 2009. It is one of those ‘accident’ pages that basically made itself. It started out a few days ago with a scrap of paper that I’d done a transfer of a bird image for practice. I glued it into my journal for future use. Then to go with the ‘Ticket’ prompt I also glued in an airplane ticket stub from hubby, and added a couple of other ticket images I had. Layers of leftover paint from this mornings project tied the whole thing together. To this I added the perfect quotes. Love it when a page just evolves, capturing a moment of life to perfection. 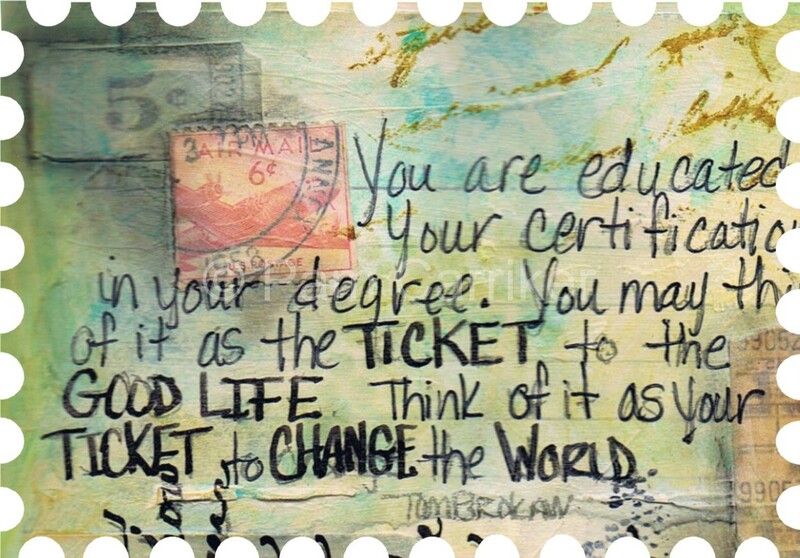 Beautiful, love the writing with the printing….always great pages from you. Very beautiful! A like the colors, very soft! This is beautiful…love your creative process! How appropriate with graduation right around the corner. I always love your style Pam, each piece just gets better! Super sweet Pam, it does feel good when things just seem to come together artistically. It’s like it was meant to be and part of some ‘higher’ plan! Why not Pam, I know you are the Queen of visual journalism, so to incorporate the challenge this way is perfect, and so is you journal page as always 🙂 I love it ! 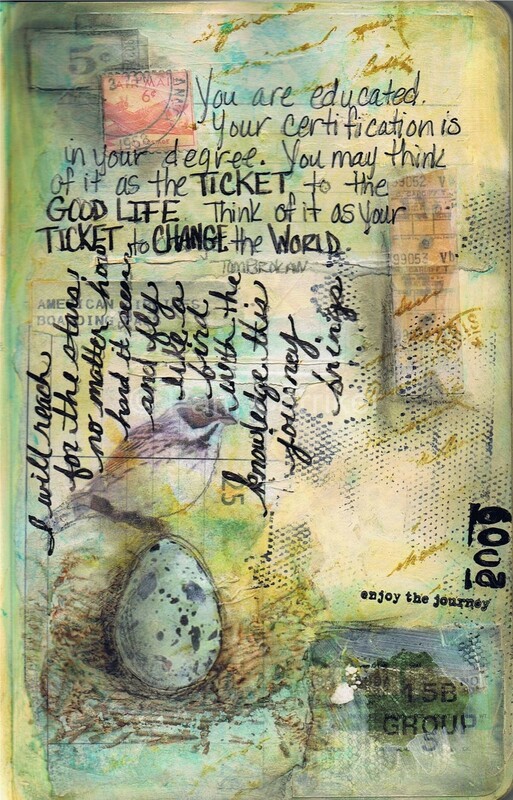 gorgeous journal page….and perfect for our challenge !! 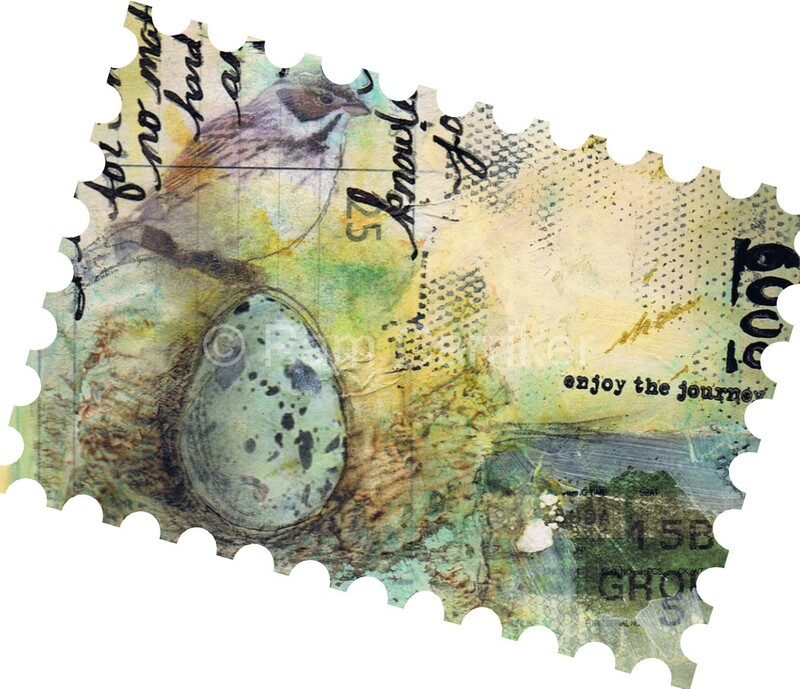 I love it when our lives become part of our art and vice versus.This is a lovely piece Pam. How beautiful! You never do cease to amaze with your work.